Lectures from the latter part of Campbell’s career, starting in the early 80s. 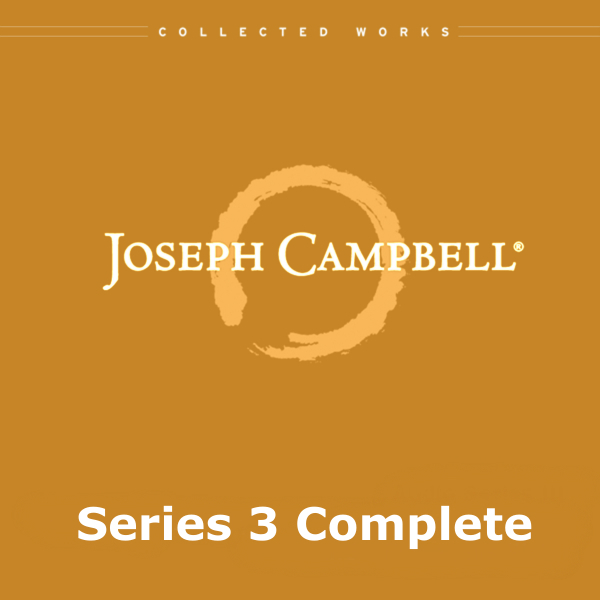 Series III consists of six volumes (only the first is released), each with between five and ten audio lectures (at about 60 minutes each). This talk, the second in Volume 1,“The Mythic Novels of James Joyce” is entitled “A Portrait of the Artist as a Young Man.” It was recorded at the Esalen Institute on November 25, 1983. Campbell interprets Joyce’s “Portrait” linking both Christian and Irish legends. In his own life he proclaimed to Bill Moyers, “...I took my instruction from reading Thomas Mann and James Joyce, both of whom applied mythological themes to the interpretation of the problems, questions and concerns of young men growing up in the modern world.” True words for the 20th and now the 21st Century. Learn of Daedalus’ life and the themes that emerge reliant to an archetypal critique. The labyrinth motif can be confusing, but if you learn the secret, you can pay a visit! This talk, the third in Volume 1,“The Mythic Novels of James Joyce” is entitled “Ulysses, pt. 1.” It was recorded at the Esalen Institute on November 26, 1983. Molly Bloom is equated with Penelope and appears to Leopold as he prepares her breakfast. Joseph Campbell helps to interpret the psychological crisis as Joyce weaves the intricate story of Leopold and Molly. There’s a funeral, and Bloom, like most Irishmen, was a seasoned drunk which makes for a very amusing funeral indeed. Reading from the book Ulysses and interpreting the intricately weaved story, Joe offers a compelling explanation of Joyce’s story. “One might speak also however of the woman as muse, you know the inspirer of the spirit, and, all that—that really is another aspect isn't it, if she is purely that, and is not in the role of temptress or wife or daughter or mother, that would be just woman as temp—that would be Beatrice. But the essence of the psychological transformation is of seeing the radiance rather than the carnal aspect. Joyce uses the word epiphany, [which] was the appearance of the little Christ Jesus to the Gentiles, to the coming of the three magi, this is the epiphany, the revelation to delay community or to mankind of the incarnate Christ. And when one sees the radiance through all things, all things are the incarnate Christ. This is perfectly good Buddhism, all things are Buddha things, the only difference between any of them—or any of us and the Buddha is we do not know it, and we do not act out of our Buddha consciousness. So, the Beatrice is the revelation to Dante of the light you might say of the spirit, and he follows that lead right up to the throne of God. This talk, the fourth in Volume 1,“The Mythic Novels of James Joyce” is entitled “Ulysses, pt. 2.” It was recorded at the Esalen Institute on November 26, 1983. Joseph Campbell continues the reading of Ulysses and offers explanations of the many dimensions and symbolic layers of the text. Equipped with the necessary background and knowledge, he makes sense of this incredible masterpiece. This is a great journey through Dublin on June 16, 1904. The enlightening comments on Joyce’s rhetoric help explain, among other things, the comic genius of his work. Mythology can be fun when guided by the wit and wisdom of Joseph Campbell. This talk, the fifth in Volume 1,“The Mythic Novels of James Joyce” is entitled “Finnegans Wake.” It was recorded at the Esalen Institute on November 27, 1983. 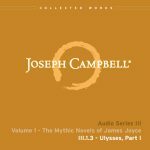 Mythologist Joseph Campbell and author Henry Morton Robinson provided an in-depth analysis of this James Joyce masterpiece. Since the book (Joyce’s final one) was dismissed by many as unintelligible, Campbell and Robinson offered their explanations via their critique of Thornton Wilders’ “The Skin of Our Teeth”. The Campbell/Robinson collaboration is entitled “A Skeleton Key to Finnegans Wake” which in turn was based on an article they wrote entitled “The Skin of Whose Teeth”. 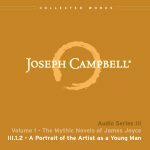 In this audio lecture, Campbell walks you through the book with mythical insight, humor and wisdom. “Well, 'nathandjoe,' turn that around and you get 'Jonathan.' Jonathan Swift was in Dublin, sort of an important misanthropic writer, and humorous writer, who, in his old age, fell in love with two girls, Stella and Vanessa, and the writings of old Jonathan to these two girls are well known. 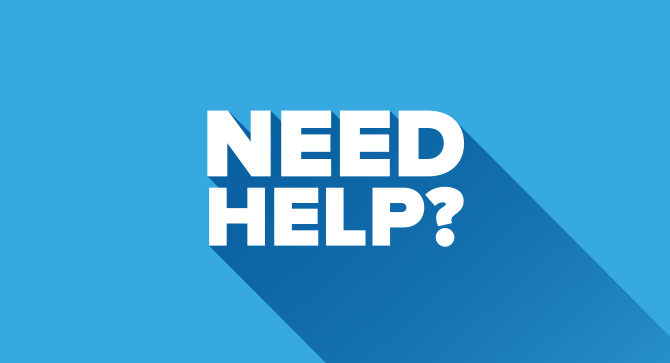 So, 'sosie sesthers,' two young girls, 'wroth with twone nathandjoe,' but Susanna and the elders, is the name that’s in there, the young girl in the bible and the old men spying on her."